CBD oil is the on-trend healthy supplement of the moment. But did you know that CBD oil also contains some unsung botanical heroes called terpenes that work all sorts of wonders on our bodies? Not only that, but thanks to terpenes, whole plant CBD oil is far more effective than CBD isolate? We believe it’s time that terpenes got the high praise they deserve. So stay tuned to find out just why Spirit of Hemp loves terpenes more than most CBD oil companies you know. Anyone who has ever been in close proximity to the hemp plant will have noticed its unique, pungent aroma. Depending on which variety of hemp it is, there may be overtones of lemon, earthy notes, or even a hint of pepper. These fragrances are created by organic molecules called terpenes (also known as terpenoids). But they’re not unique to hemp and cannabis - every aromatic plant and flower throughout nature is abundant in the little fragrant fellas. Lavender, rosemary, orange blossom, green leafy vegetables, citrus fruits; they’re all just brimming with terpenes. And if any of you have ever had an aromatherapy treatment, you’ll know they also make us feel great too. Lavender contains linalool, which has a relaxing effect, rosemary has pinene, great for our respiratory system, orange blossom contains myrcene which is a nerve tonic, and citrus fruits, limonene, a great mood booster. 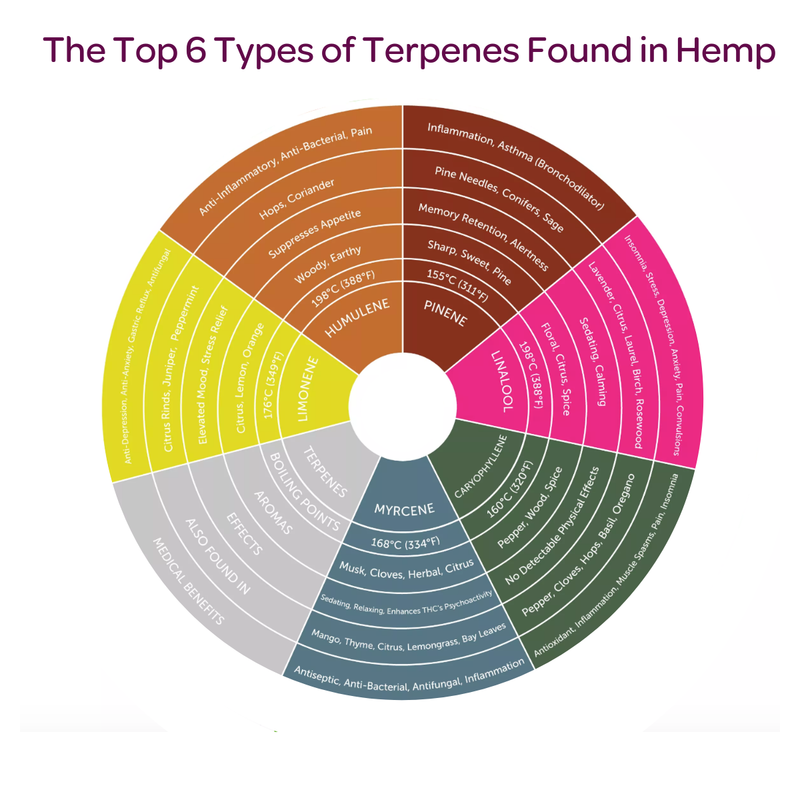 In fact, all these terpenes are also found in the sticky trichomes in hemp. Terpenes have for some time been the subject of scientific research. But it is the American Neurologist and Pharmacology Researcher, Dr Ethan Russo who has shone a light on terpenes in the context of their therapeutic importance in the hemp plant. 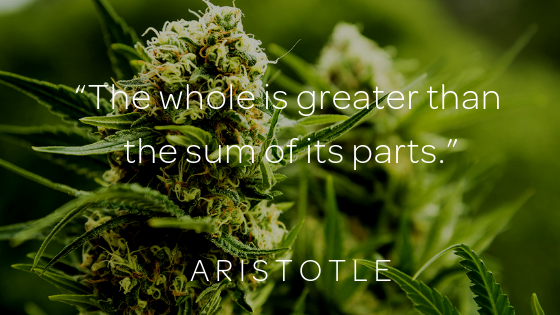 But the effect of terpenes shouldn’t just be limited to how they make us feel. 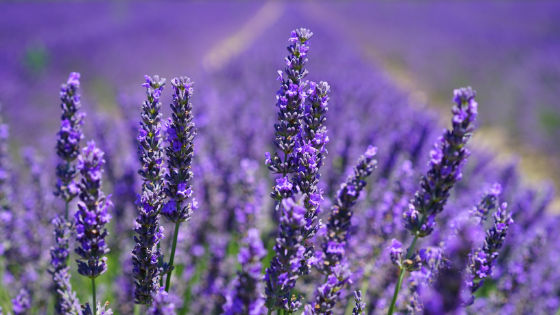 Studies suggest that terpenes such as myrcene, may have pain relieving effects, linalool reduces inflammation, while limonene and β-caryophyllene both show anti-tumoral action in preclinical studies. However, when it comes to hemp and CBD oil, it’s not the individual, therapeutic properties of terpenes that we are most interested in. The hemp plant is made up of over 400 active compounds including over 100 cannabinoids (including CBD and CBDA), over twenty types of flavonoids, and approximately 200 terpenes. Modern medicine favours the extraction of single compounds in order to make pharmaceutical drugs. But when it comes to hemp and cannabis, researchers have noticed that whole plant botanical extracts are more effective than isolated cannabinoids. To explain this, the term ‘entourage effect’ has been coined and used with frequency by researchers such as Ethan Russo. The ‘entourage effect’ describes the unique synergy within the hemp plant whereby minor and often seemingly inactive molecules potentiate the effects of the plant as a whole. It’s clear then that terpenes provide a key role in the health boosting effects of hemp and CBD oil. Only there’s one snag, terpenes are incredibly volatile and many are lost in the extraction and decarboxylation (heat) processes commonly use to make CBD and hemp extracts. A recent study found that while cannabinoid content was increased after CO2 extraction techniques (the standard and safest way of making CBD oil), terpene content, in particular of the terpenes limonene and pinene, was significantly lower. It’s speculated lower terpene levels could impede the entourage effect, potentially reducing the overall effectiveness of CBD and hemp extracts. 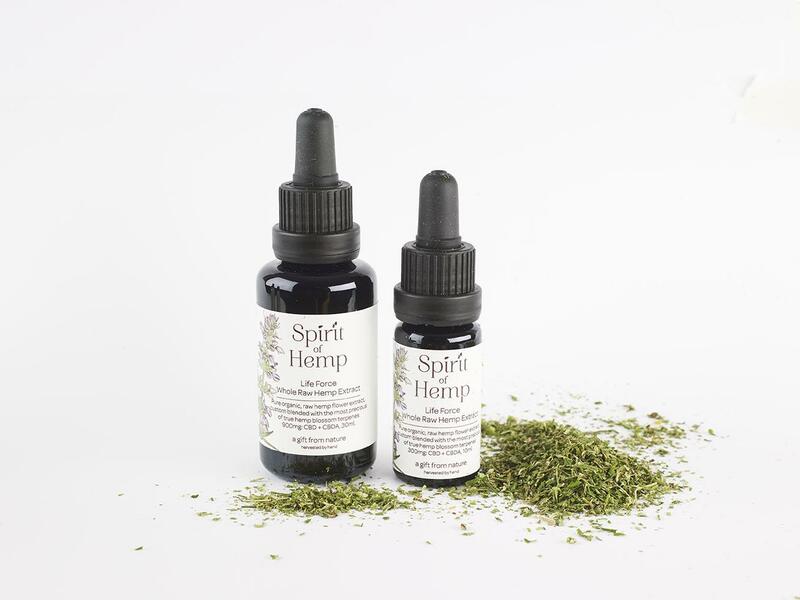 We created Spirit of Hemp because we believe in the health promoting properties of the whole hemp plant, that’s why we weren’t satisfied with CBD oils with less than a full terpene profile. In order to still offer our clients CBD oil with all the natural terpenes intact, we decided to source the purest, steam distilled terpenes, from fresh hemp plants, reintroducing them into our CBD oils after the extraction process. Think of it like a hemp essential oil, which at Spirit of Hemp, we would go so far as to say is the most prized of all legal cannabis derivatives. That’s because in order to make just 1ml of pure hemp terpene oil, we use between 100g and 5kg of fresh hemp. The result - our ‘Life Force’ CBD oil - is one of the only true whole plant CBD oils on the market, giving our customers the best opportunity to benefit from the precious synergy of the entourage effect. We would love to tell you more about our terpene rich CBD oil range. Why not stop by our online shop, or get in touch with our customer service team who will be delighted to answer any questions you might have.